This comprehensive series gives you the knowledge of a seasoned professional while utilizing tools such as on-screen graphics, split screen viewing of right and left hand close ups with notation, color-coaxed strings, and ‘follow the bouncing ball’ style graphics. Go from zero to hero in no time! Volume 1 covers all the basics and then some. Major and minor scales, basic cords to power cords, how to read rhythmic notation and even strumming patterns. 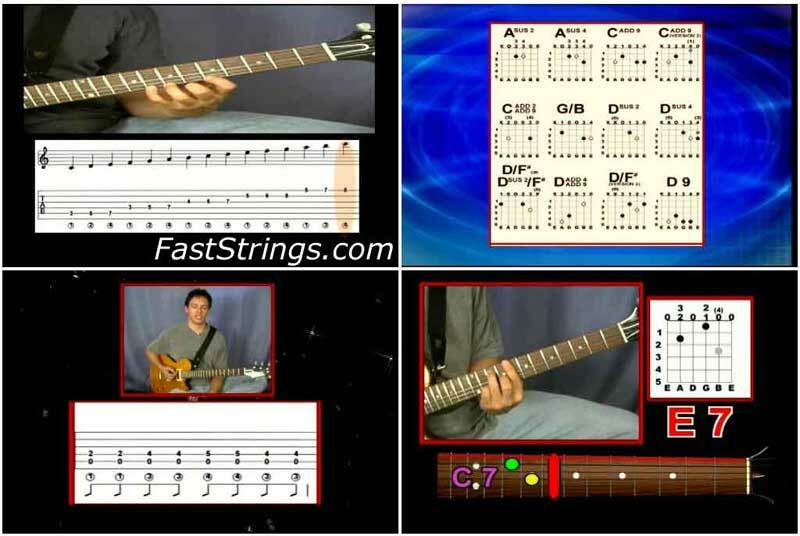 Learn how to find any note on the fretboard without the use of a chart. In no time, even beginners will be jamming 12 bar blues and playing licks. The Green Monster Music series is equivalent to attending music school, while allowing students to learn at their own pace and on their own schedule.